With awards season in full swing, icelolly.com is enjoying unprecedented success in recognition of its achievements of the last 12 months. 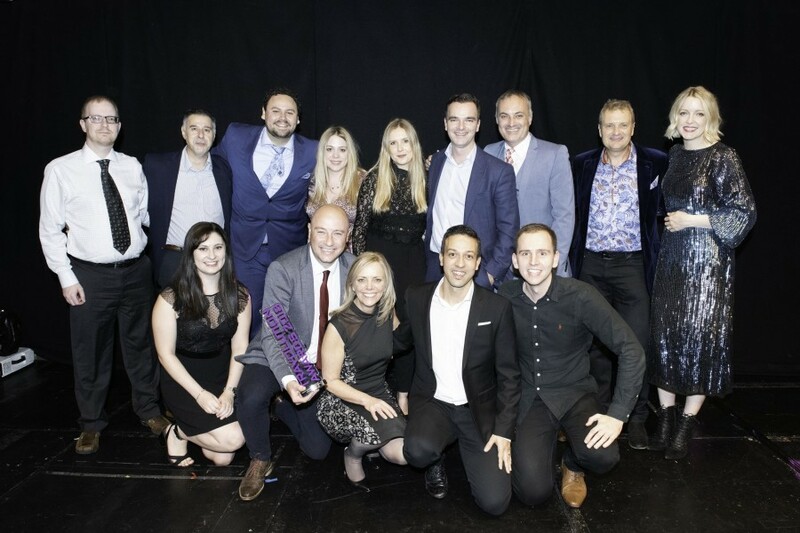 The company was named Rising Brand of the Year at the Travolution Awards, the travel industry’s highest accolades for innovation and excellence online, held on Monday 19 November at The Troxy, London. The Rising Brand of the Year category, which cannot be entered directly and was selected by a panel comprised of business leaders, experts and entrepreneurs, was awarded based on icelolly.com’s increased profile among consumers, with the judges citing how the business has ‘established itself as a leading holiday price comparison site, adding a number of new features to make the search and book process simpler for its millions of regular users’. The award also acknowledged how icelolly.com is now ‘a vital source of qualified traffic for many travel partners’. The Travolution Awards also saw icelolly win in the Best Use of Social Media category to reflect the team’s efforts to ‘build brand affinity, hone its marketing messages to key target groups and drive loyalty and advocacy through social media channels’. The Rising Brand of the Year and Best Use of Social Media award-wins follow a successful start to November, which began with icelolly.com winning the Innovation in Integration: Combining Tech Powers category at ‘the dotties’, the Dotmailer Email Marketing Awards which highlight the UK’s best and brightest digital marketing. Later in the month, the company was named Travel & Tourism eCommerce Website of the Year at the Northern eCommerce Awards, which reward success and talent across e-retailing and online business in the north of England. icelolly.com was also nominated for Best Online Travel Deals Provider and Best Travel Price Comparison Website at the British Travel Awards 2018. It has also been shortlisted for Best Website and Best Digital Marketing Campaign – Travel / Leisure in the Northern Digital Awards, which will take place on 31 January 2019 at the Royal Armouries New Dock Hall in icelolly’s home town of Leeds. The award successes follow a range of well-publicised initiatives introduced in 2018 which have been specifically designed to improve the icelolly.com customer journey, inspire holidaymakers and help them find the very best deals in the market. These include the development of an all-new Deals Collection featuring segmented deal types and curated offers; revitalised Destination Pages that simplify the holiday research process; and an industry-first Pricing Calendar that allows customers to compare real-time deal prices across an entire year. icelolly.com compares more holiday deals than any other in the UK. With more than 20 million visitors each year generating over 40m search queries and one of the largest Social followings in travel, icelolly.com allows customers to compare and save on millions of package holidays, cruises, UK breaks and more from leading travel companies. Named the UK’s fastest growing holiday comparison website according to Hitwise, icelolly.com’s growing stature as one of the UK’s leading travel brands has been recognised by customers and the industry alike in 2018. The company was recently named ‘Rising Brand of the Year 2018’ at the Travolution Awards, also winning for ‘Best Use of Social Media’; ‘Travel & Tourism eCommerce Website of the Year 2018’ at the Northern eCommerce Awards; and won the ‘Innovation in Integration: Combining Tech Powers’ at the 2018 dotmailer Email Marketing Awards: thedotties.